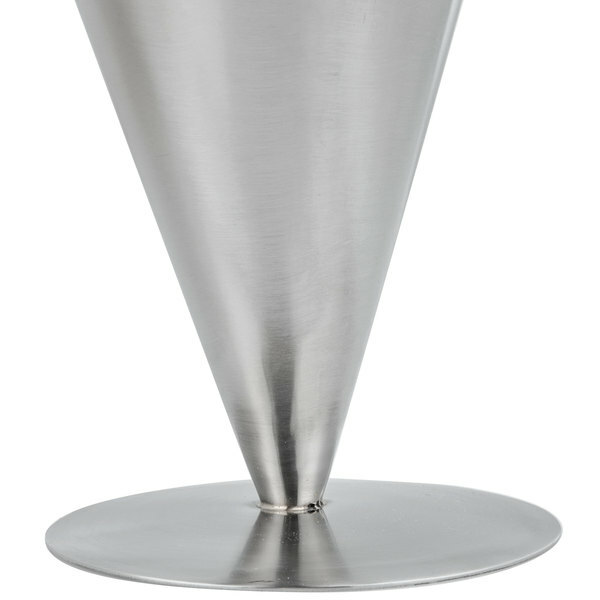 Serve popular appetizers and sides in style with this stunning Tablecraft R57 stainless steel french fry cone! 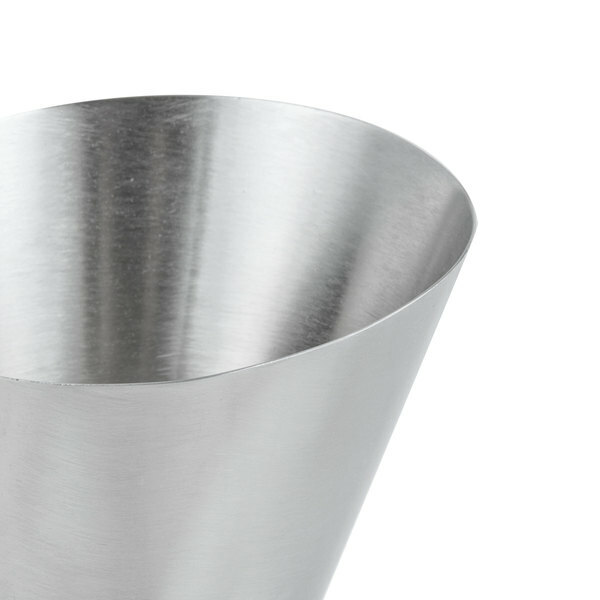 Guests will enjoy french fries, onion rings, or jalapeno poppers presented in this 7" stainless steel cone. 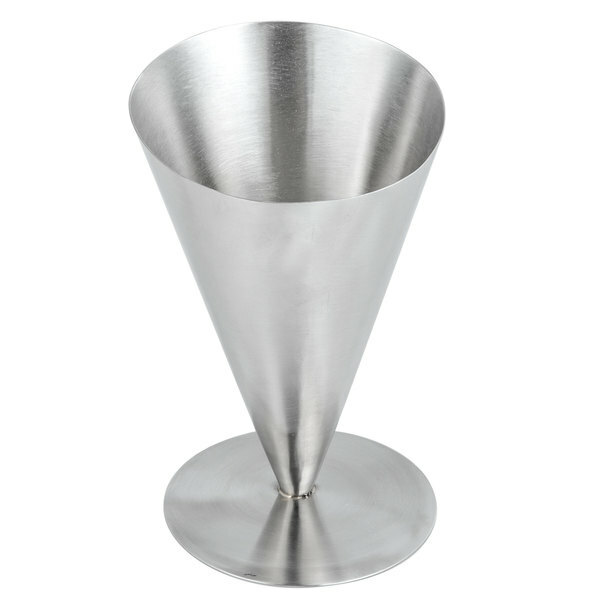 The stainless steel material provides durability and makes this cone easy to clean. The round base at the bottom of the cone also adds stability so guests can enjoy their crispy appetizers without worrying about the cone tipping over. 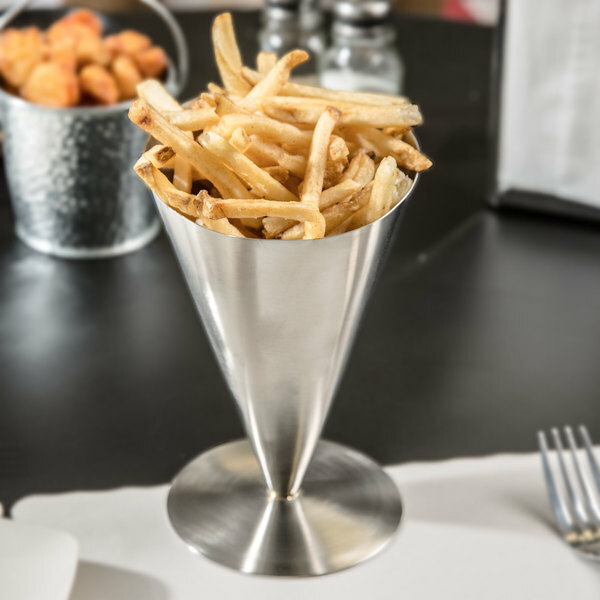 Perfect for diners, bars, and lounges, this french fry cone adds variety to your serveware and provides personal-sized serving options for ideal portion control. 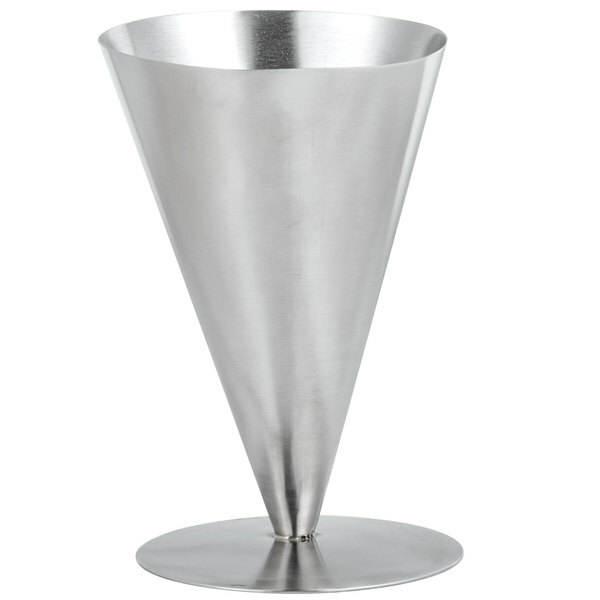 This cone's sleek shine is sure to make an attractive statement on your tabletop! The tablecraft fry cone is a great way to present fries at the table. They are extremely sturdy and give the plate some nice vertical presentation without being super over bearing. Its sleek its modern and a great addition to any burger plate. They are also beautiful as a single order just on the table. Well made and very sturdy. Rarely every break. This is a sleek french fry serving dish!! Easy to line with parchment or wax paper to add a touch of flair!! Great portion control as well!! !